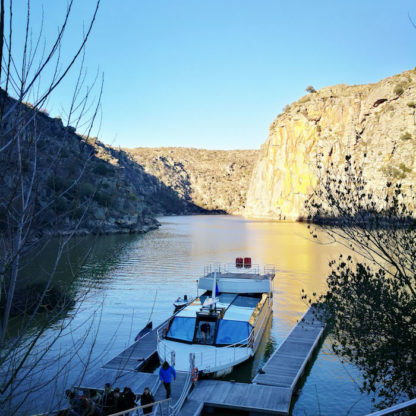 The Environmental Cruise of the International Biological Station – EBI in the Natural Park Arribes del Duero, delves into the most spectacular vertical section of the “European Grand Canyon”, sailing through international waters from the border town of Miranda do Douro to the Valley eagle and Villardiegua de la Ribera. 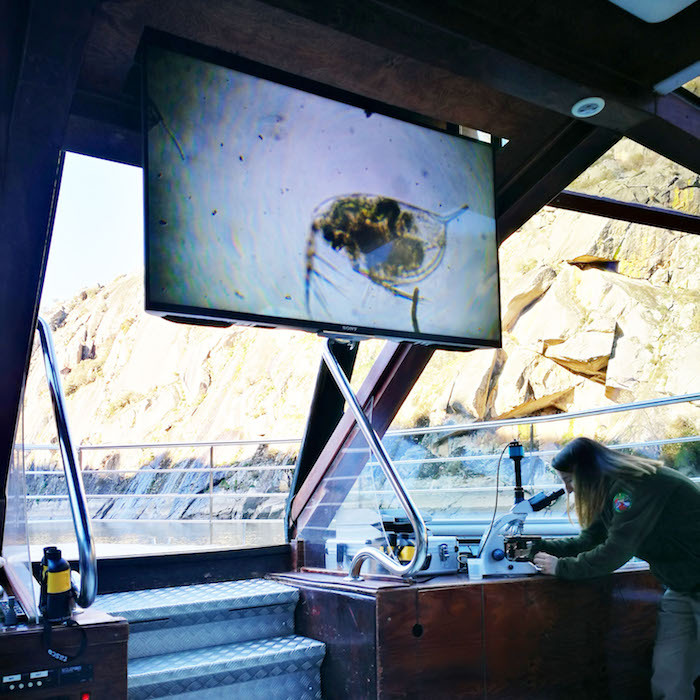 During the trip, the technicians of the Biological Station interpret ethnographic resources, wildlife, flora and geology of the cliffs. 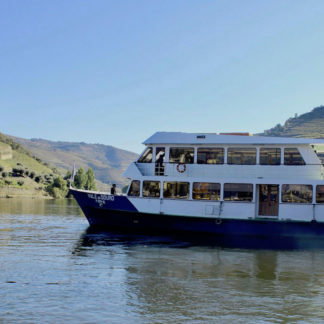 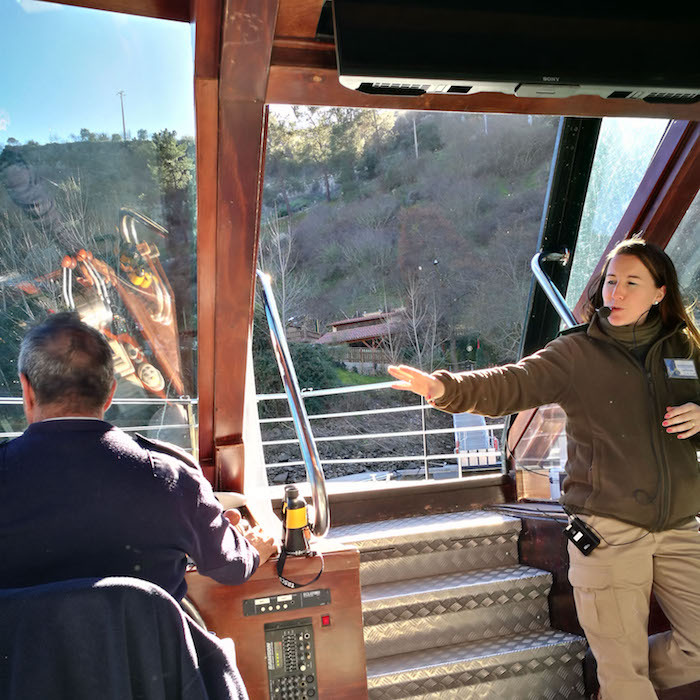 Upon his return, passengers enjoy a free tasting of fortified wines of Oporto , with didactic and interactive activities with otters and other wildlife species of therapeutic nature programs and captive breeding of the EBI. 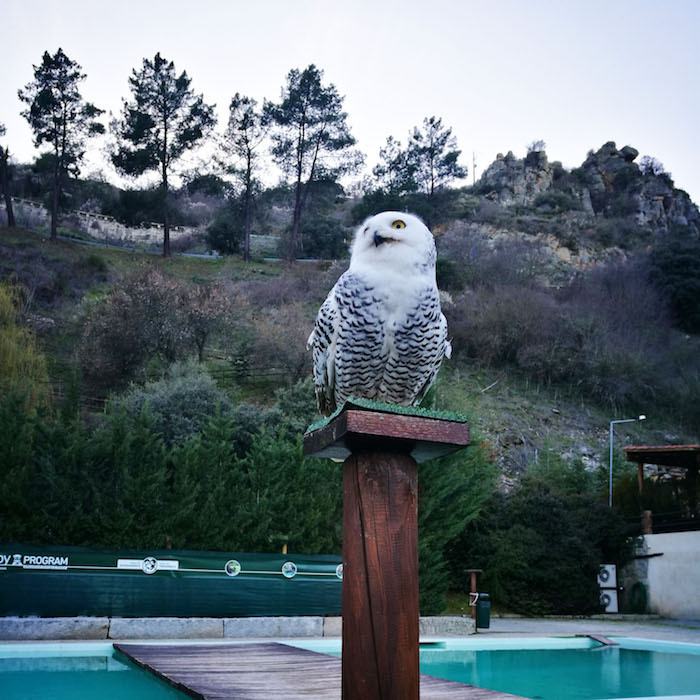 Groups are considered when the minimum number of paying participants is 20. 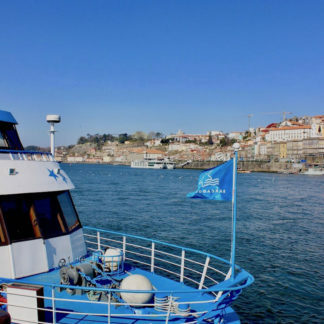 – Departure at 11:00 a.m. and 4:00 p.m. (most frequently). 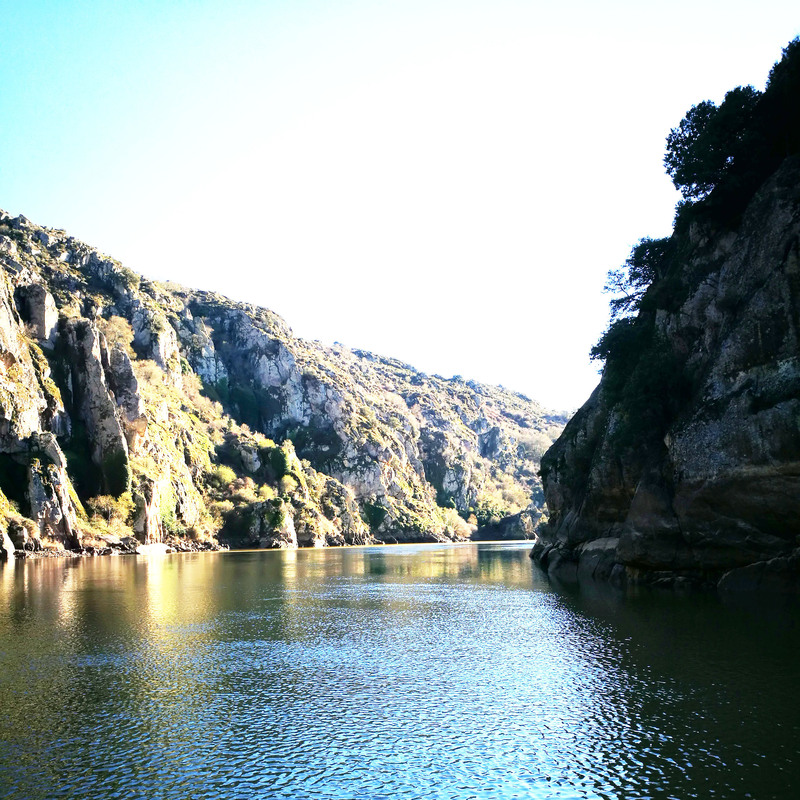 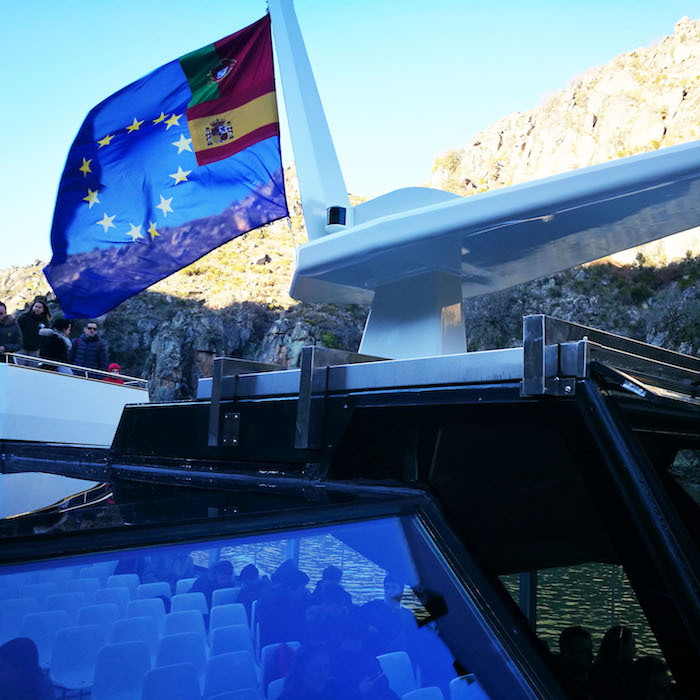 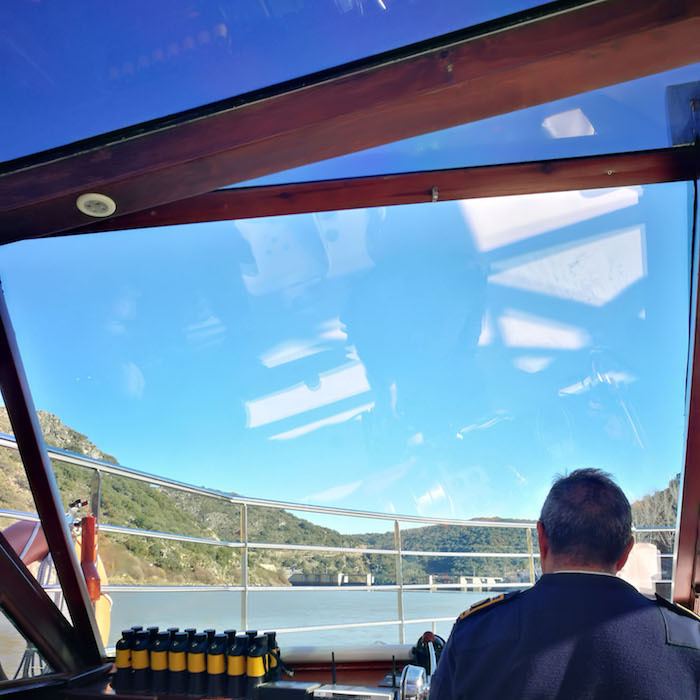 11h00/16h00 – Environmental Cruise until Vale de Águia and return. 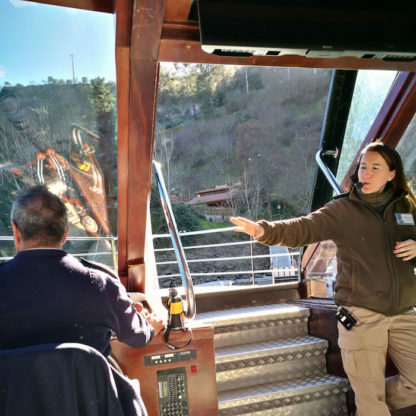 During the course, the crew and the guide will explain the most relevant about the fauna, flora and geology of the Natural Park. The vessel belongs to E.B.I, is prepared to sail in the Park; contains ecological sound-proof motors, portable laboratory, infrared vision and directional microphone. 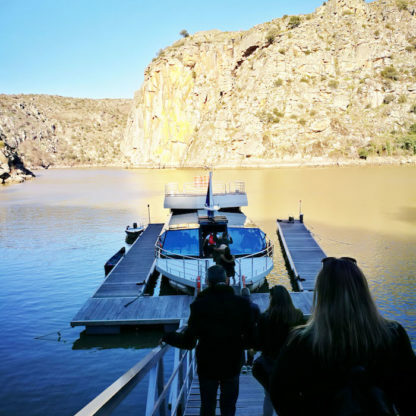 – Return to the City of Miranda. 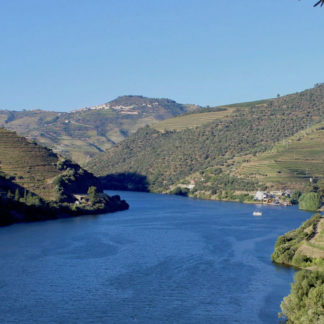 This program includes a free tasting of Porto’s generous wines and didactic and interactive activities with the Terrestrial Nature, Research and Reproduction Programs in Captivity of the EBI. The schedules are subject to change according to availability and opening times for the company.